William Becker was born in Prussia in 1833 and arrived in Chicago around 1852. He married Catherine Reiss in 1862. The Beckers lived at 126 Orchard Street on Chicago's North Side by 1880. The address is now 1715 N. Orchard Street. Mr. Becker died in 1889 and is buried at St. Boniface Cemetery along with his wife who died in 1914. For further details, contact the Chicago Genealogical Society. 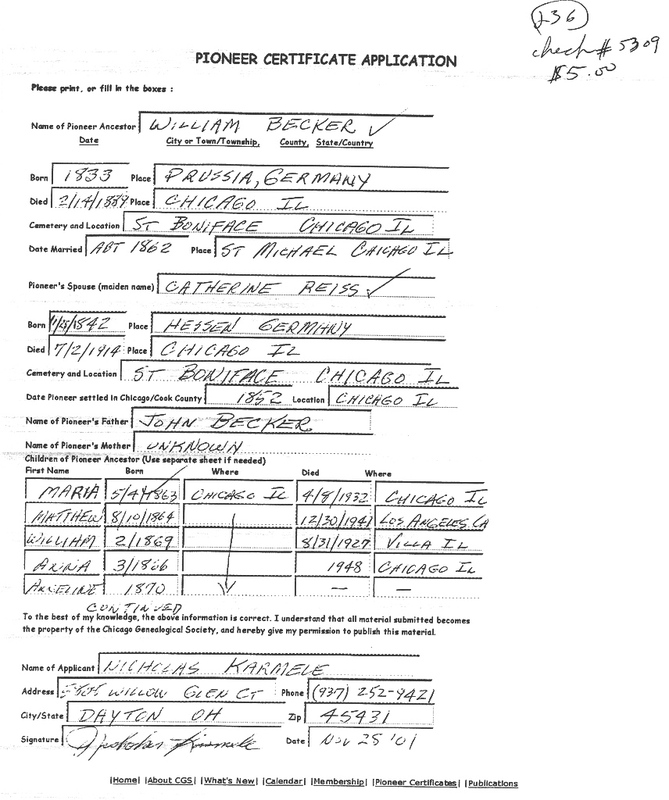 William Becker is Pioneer Ancestor number 236.